Welcome to the absolute middle of the road in the Lexus lineup: alongside the ground-breaking LS, the mid-sized ES is a linchpin in the lineup, a car that helped start it all for Toyota’s luxo brand. Let’s check in with the state of things twenty-five years after the ES’s US introduction. 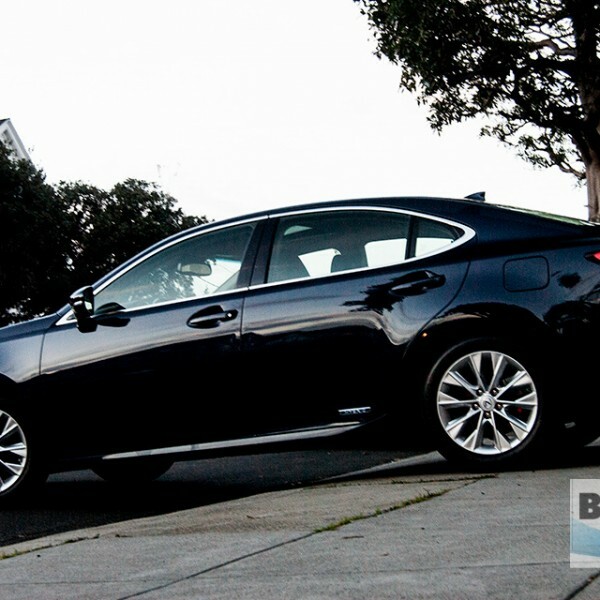 Initially the ES was based on the Toyota Camry platform, but more recently, it has grown to fit the larger Avalon’s platform. 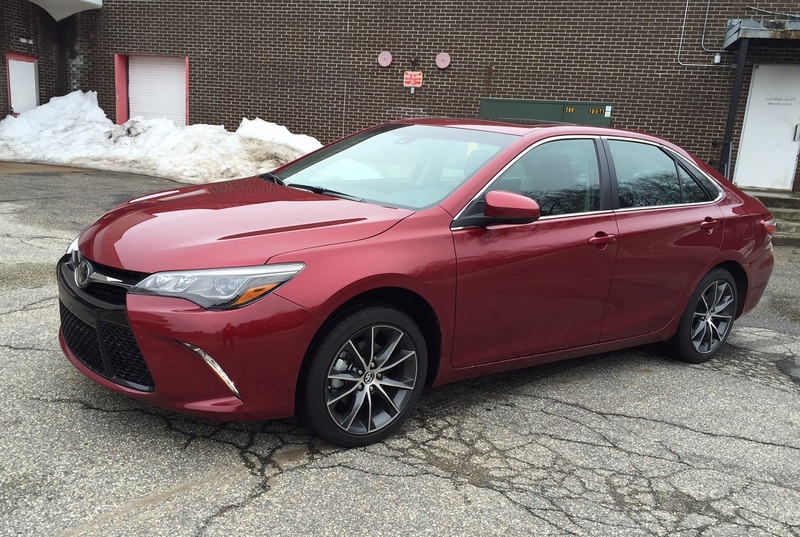 Interestingly, the Avalon has gone from forgettable to jazzy, while the ES incorporates Lexus cues like the controversial hourglass grille within a much more conservative shape. For comparison, here’s an Avalon we had recently. As you can see, there’s a lot more going on there with the curves and contours than with the ES. The Avalon even had a cabbie pull up aside and take a long look before blurting, “Nice car!” The ES, on the other hand, slipped through traffic unnoticed, except when a friend compared the ES’s grille to an angry alien. 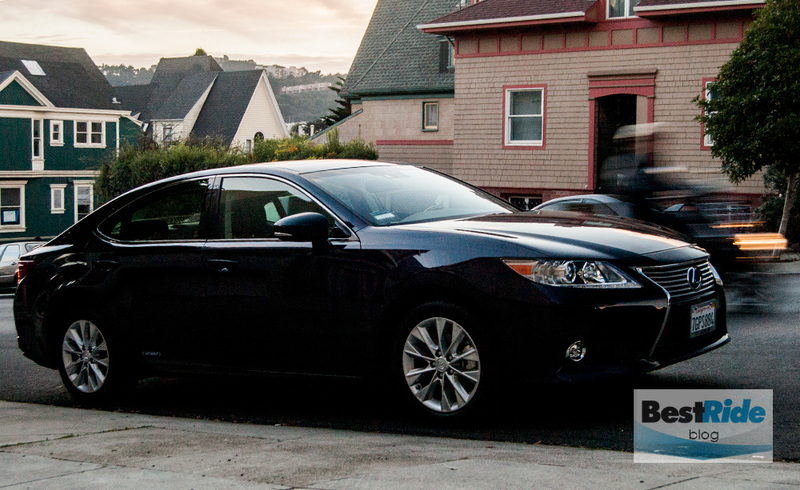 But then that’s been the point of the Lexus ES; it’s not here to make a fuss. Mostly, it simply wants to be accommodating and comfortable, and it does both very well. Note that there’s no F Sport version of the ES; it’s either luxury, hybrid economy or a version of Lexus’s new white-and-black color scheme in The Crafted Line. The Avalon Hybrid’s pricing isn’t far off from the ES 300h’s; in fact, the top Avalon Hybrid Limited checks in at $1,270 above it, although it incorporates features like ventilated front seats and a power rear window sunshade, items that you’d have to start adding option packages to the Lexus to get. But in our weeks with both, we found one big reason why to pick the ES over the Avalon. We’ll get to that in a bit. Outside the Toyota family, you’d probably also be considering the Kia Cadenza, an upstart that puts up quite a fight for the Lexus ES. The Cadenza Limited starts at $43,800 and can be fitted with many of the same luxuries as the ES. Twenty-five years ago, Lexus was blazing new ground, and now it’s Kia’s turn to be the fresh face. Of course, Kia has no hybrid Cadenza, and after driving the V6 and hybrid ESs, the milder hybrid powertrain seems to suit the ES well. 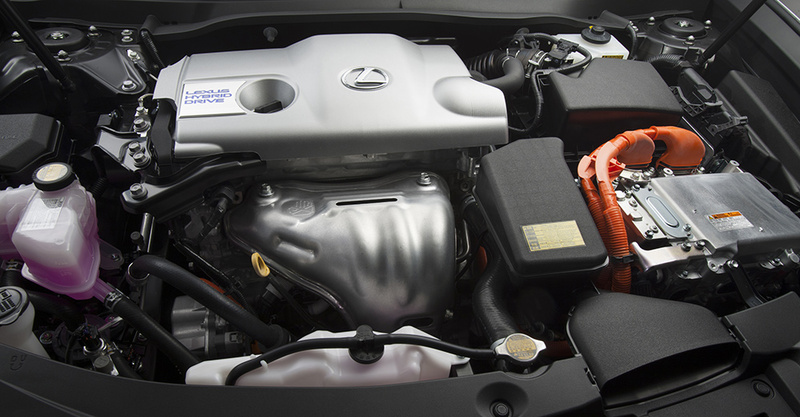 The hybrid is down 68 total horsepower from the V6, but at 40 mpg EPA overall, it nearly doubles the V6’s 24-mpg rating. 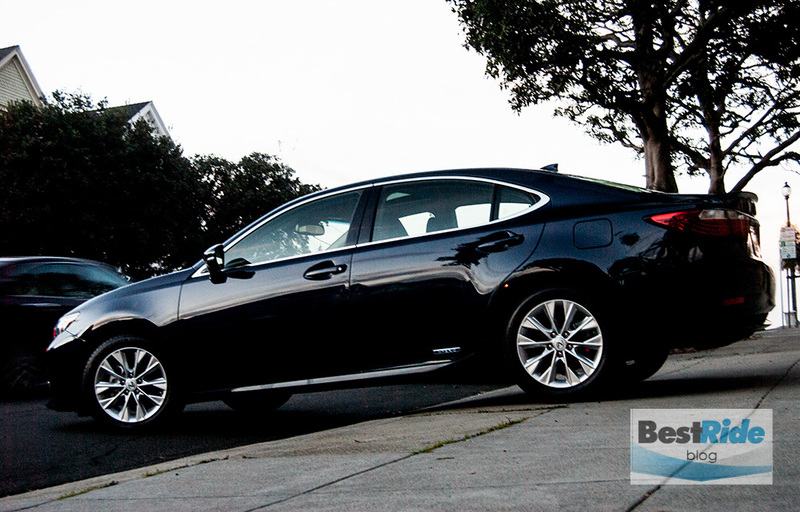 For luxury buyers not needing all-out acceleration, the hybrid makes a lot more sense. Two hundred horsepower in the ES isn’t slow, but there is the typical goopiness in the hybrid’s starting and stopping, where it feels less direct than a strictly-gas engine would. Again, this doesn’t seem to be a problem in this application, where few enthusiasts would look to the ES for fun. Handling is calm and safe. The relatively soft ride results in the expected body lean in curves, but it’s not clumsy; you have to want to cross up the ES to get it skidding. There’s not much information coming through the steering or brakes, so you end up reacting more to body roll than anything else. Again, this fuss-free attitude is right in line with what buyers are looking for here. Inside is where the ES really shines. 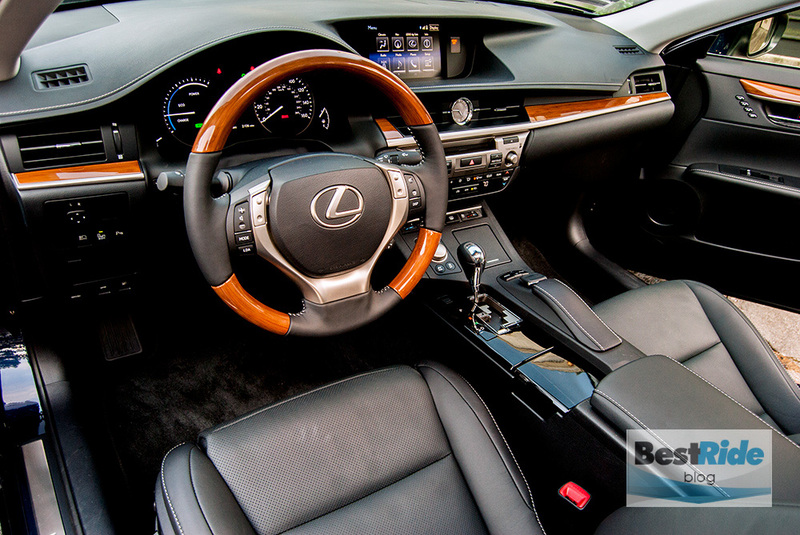 The tested ES 300h had the $2,435 Ultra Luxury Package, which includes a powered extender for the driver’s seat cushion. The seats are enormously comfortable, with that free-floating feeling of riding on an extremely soft cushion that still holds you in place. 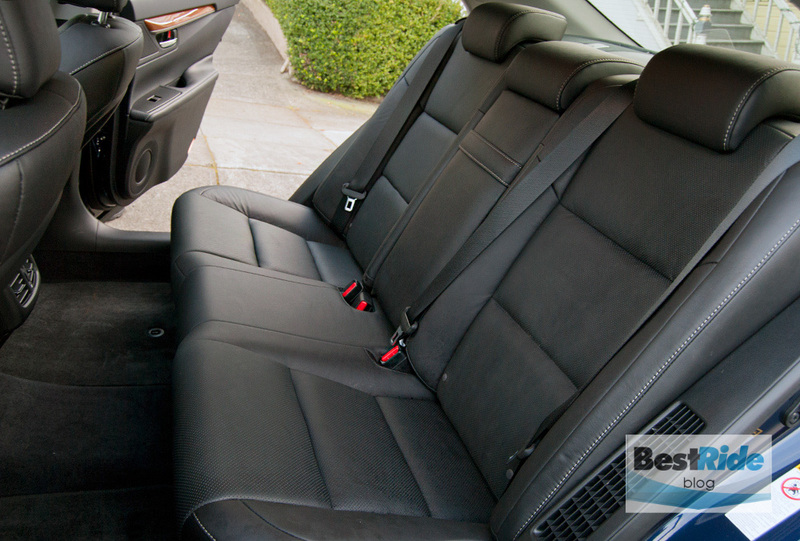 All around you are compliant surfaces, from the door panels to the center armrest. In back, the ES fits adults with a full 40 inches of legroom. Headroom back there is competitive as well, with its 37.5-inch reading matching that of the front seat. This is partly achieved by mounting the cushion low to the floor, but the roominess all around is most welcome. 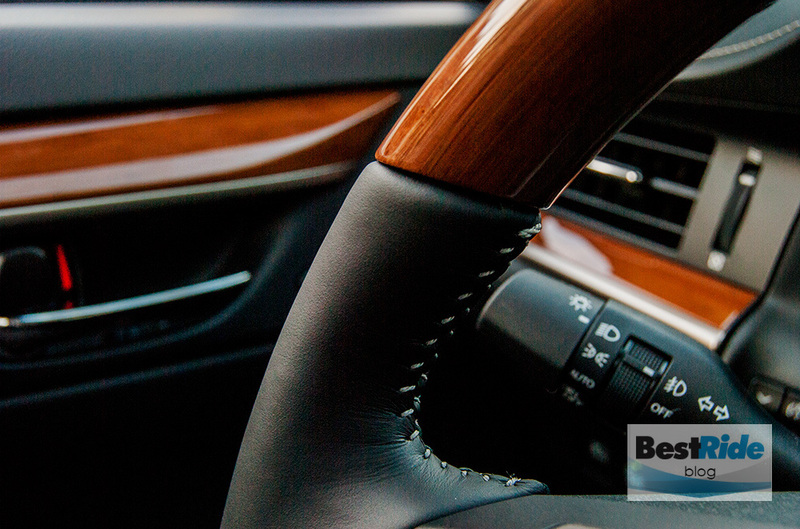 …and they combine with the other accents to give the interior a beautifully uniform look. 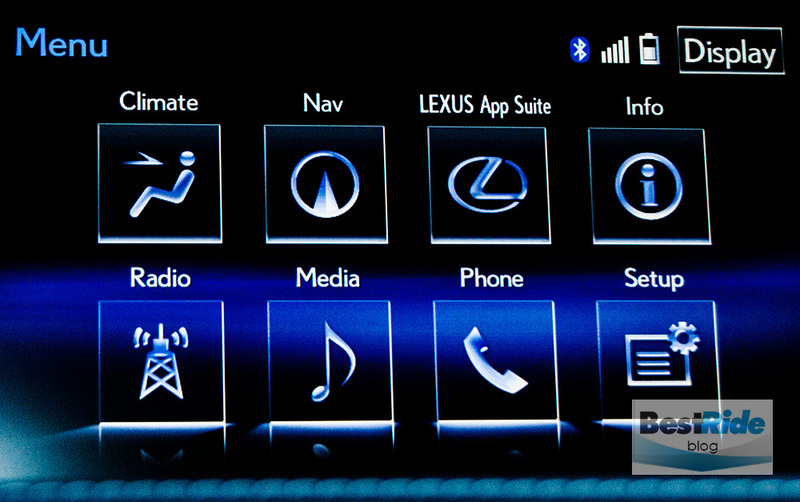 Lexus’s excellent Enform app suite is easy to use, and the recessed screen is glare-free and simple to navigate with the console-mounted haptic (vibrating) controller. 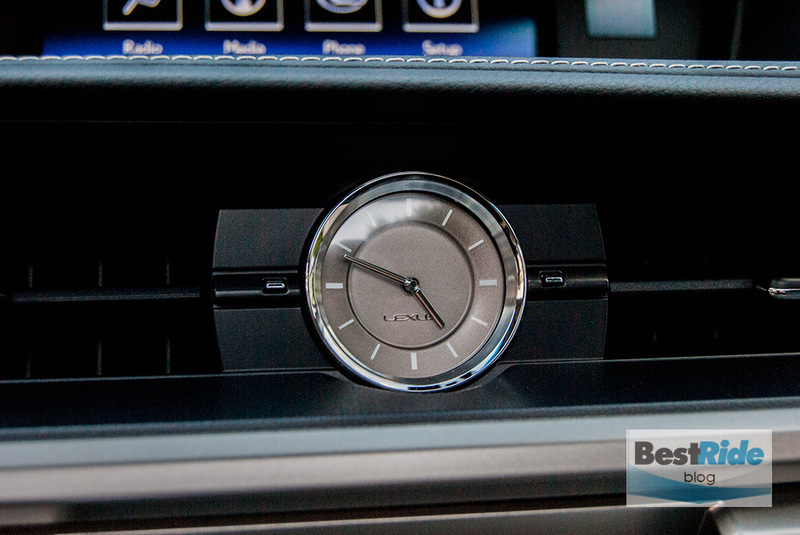 This technology blends well with the more traditional touches you’ll see. 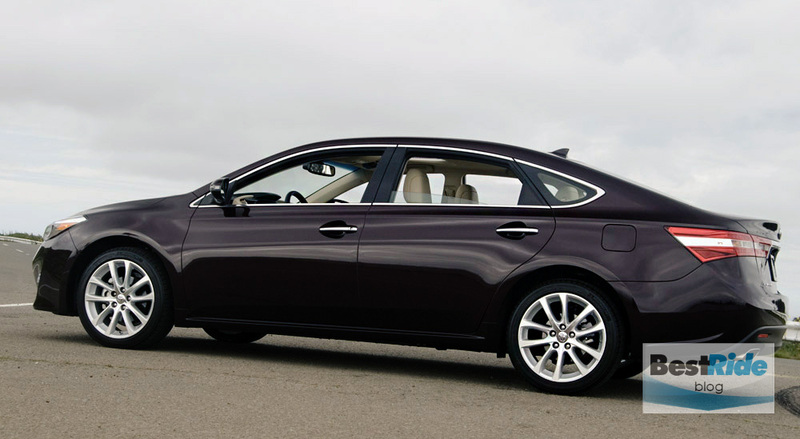 That reliable Lexus richness is the reason to choose the ES over the Avalon. 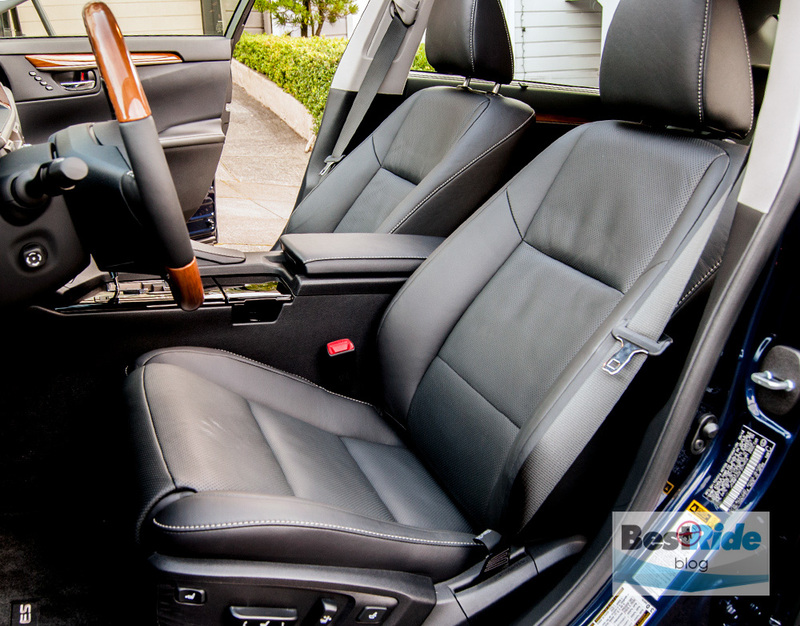 The Avalon is as jazzy inside as it outside, but there are two big letdowns: lots of imitation wood, and lots of unexpected creakiness and flexing in the console and door panels. This feeling of being insubstantial is found nowhere in the ES; its quality is unimpeachable, and that’s what most folks want when they lay down 40 large for a luxury car. The ES had that quality twenty-five years ago, and it still does. That kind of consistency breeds loyalty like you wouldn’t believe, and so the ES will likely be with us for a long time to come.